The Fiera dei Morti (Fair of the Dead) has been held annually in Perugia reportedly since 1260. The name comes from the timing: the market takes place the first week in November (this year, Nov 1-6), often during All Saints' and All Souls' Days. 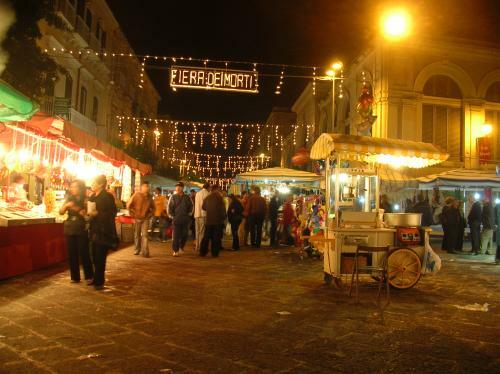 For six days, hundreds upon hundreds of itinerant shopkeepers, food vendors and craftsmen from all over Italy and even abroad set up stalls and offer their wares. This is the place to find anything, but anything at a great price. There is a festival atmosphere, the vendors are pure theater and haggling is pretty much the norm. The fair is open every day from 9 am to 11 pm.